What goes around comes around – just like the echo on the Kristberg. The best point to test the Silbertal echo is right in front of the Kristberg Panoramagasthof. The popular sonic phenomenon has delighted our Kristberg guest over and over again. The “flute player from the Kristberghof” himself discovered the point of echo right in front of the Panoramagasthof and built a stone with footprints on said spot. Whoever stands there and calls out in the right direction will be able to hear his or her voice multiplied and reflected by the mountains. The echo is created as soon as the sound hits an obstacle and is reflected by it. This is very often the case on the mountains, because the caller is located in the middle of rock faces. Because the natural phenomenon is every so beautiful the “flute player from the Kristberghof” has released two albums with the Silbertal echo. 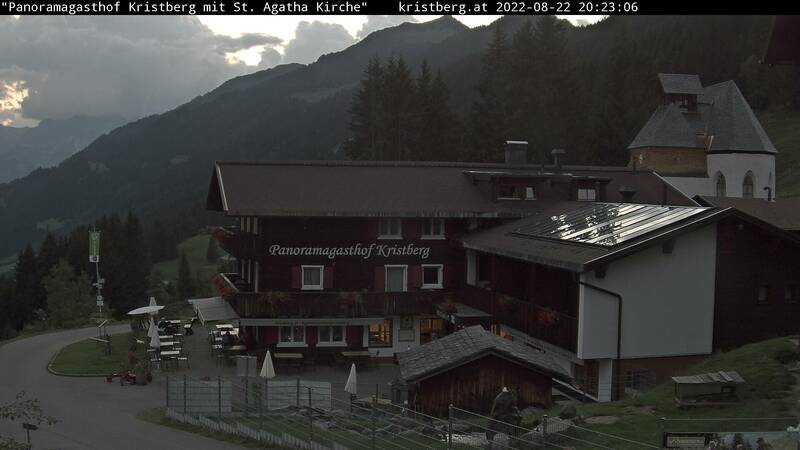 “So klingt's am Kristberg” volume 1 and 2 are of course available at the Panoramagasthof. Test the Silbertal echo and communicate with the Montafon mountain world. You will find your perfectly comfortable room at the superior Kristberg Panoramagasthof. Send us your no obligation holiday enquiry.